Welcome to the first in our bi-weekly series aimed at cataloging the most important collectibles in Magic, The Collector – Editor. For those of you who don’t know me, my name is Rachel and I am a diehard collector of Magic: The Gathering cards. I play a variety of formats ranging from EDH and Cube all the way to Vintage and Modern. My immense passion and love for the game is multifaceted. I love playing competitively as well as enjoying the artwork and the financial side of cards. 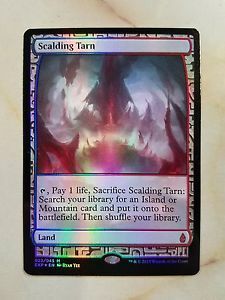 Here on Mtgprice.com I will delve into the world of beautiful Magic cards and focus on the many great looking and rare upgrades you can make on your cards. I will discuss everything from ideal choices to pimp out your decks as well as cheap ways and best times to purchase those cards. I hope you enjoy the ride. It’s gonna be a roller coaster. Upgrading your decks to their most perfect form is more of a journey than a source of instant gratification. You could call it an expedition <ahem>. Most of us don’t possess an exorbitantly large amount of capital to simply purchase every judge foil or text-less promo we see or want. So while we may be eager to acquire nicer cards, we want to do so to maximize our dollar and acquire at opportune times. I’m tackling the fetchlands today because they are in an interesting place right now. 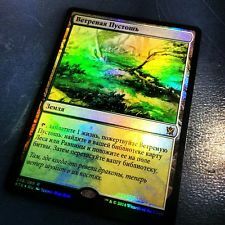 Enemy color fetchands were recently reprinted in Modern Masters 2017, so they are currently at center stage again and many of us are looking to get in on some foils while the getting is good. An important note on fetchlands is that Wizards has not been kind to collectors with them because of uneven cycles and mismatching borders. This can make picking the ideal upgrade difficult, especially if you have very particular tastes. 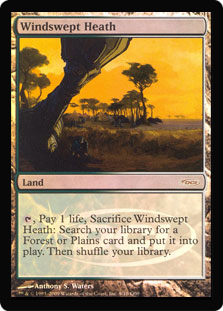 The manabase is often the first, and most expensive, thing people aim to upgrade along their journey to beautify their deck, and fetchlands are some of the most important and flexible lands in your collection. They are a high priority in Vintage, Legacy, Modern, Commander, and Cube and as such, are extremely coveted in their rarer forms. Naturally, as with upgrading many things in life, it always comes down to personal preference. Some people enjoy foil cards and some prefer old border or foreign. And the specifics break down even further. Promo foils, old border foils, pack foils, judge foils, foreign foils, foils with better artwork, rarity, price, the list goes on and on. Which version of a card you want primarily comes down to what you as an individual prefers and finds pleasing to the eye. That being said, I certainly have my favorite ways to upgrade my cards and will be providing a hot list (in order) to show you how it all breaks down. 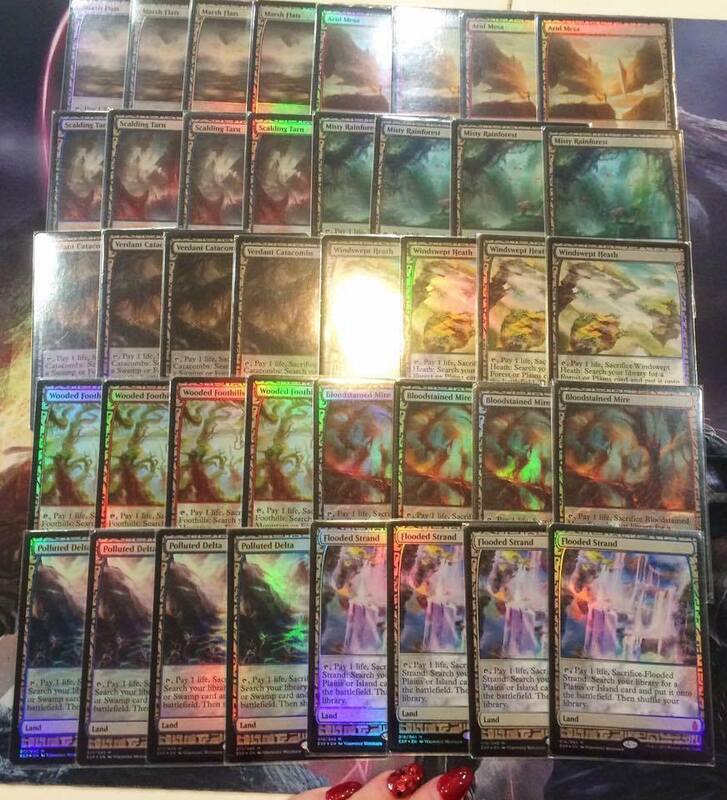 These are the lowest foils on the totem pole for allied colored fetchlands. Not only are they the cheapest foils you can get, I also dislike their extremely digital artwork. The dragon-tied theme doesn’t have a matching version for the other 5 and the watermark is unwelcome. One positive note on these is the fact that you can get them in Russian and Korean, where the price shoots through the roof. Onslaught does not have Korean or Russian options, so this is ideal for someone who wants a uniform foreign language. These prices are relatively low and without any other reprint they would see an increase over time. 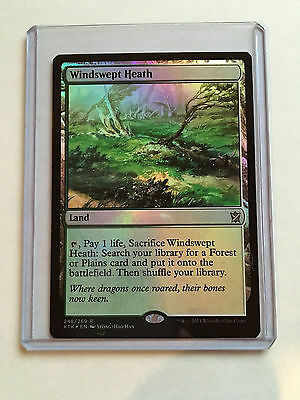 However, I believe that Wizards will continue to print fetchlands over and over and it’s only a matter of time before we see them as frequently as commander products. For this reason, I wouldn’t suspect much of an increase in price here over years. Prices for many foreign foils fluctuate and the above are very rough estimates but it gives a good idea into the price difference between English and the rest. The universally more expensive languages are Japanese, Korean, and Russian almost always commanding a higher price than their English counterparts. Because Zendikar fetchlands have these languages available as well, if these languages appeal to you, Khans of Tarkir may be the way to go. 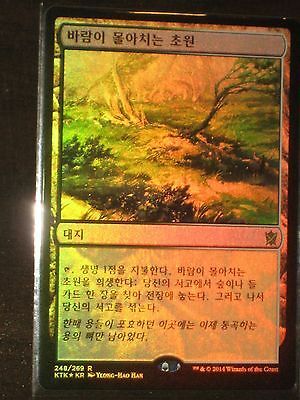 These are by far the cheapest foil versions available for the enemy colored fetchlands. I dislike the watermark here as well, and because they keep the same artwork as the Zendikar printing I prefer those over these. The frame is also different but at least this is uniform with the Khans cycle. 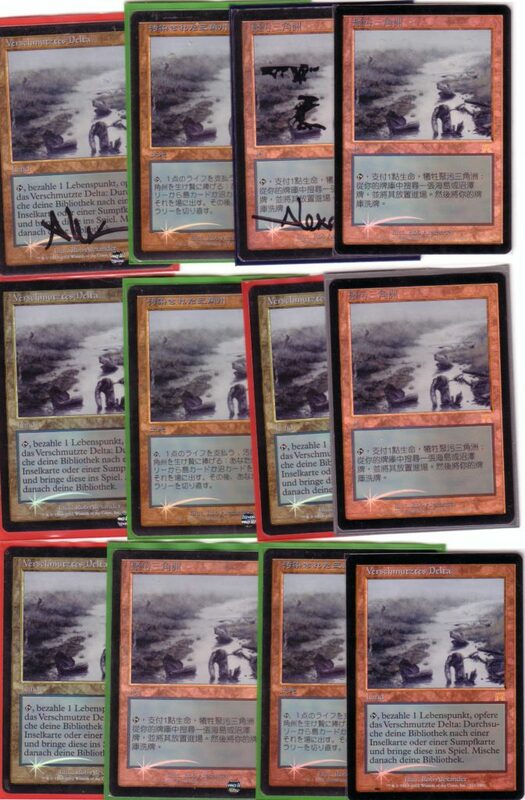 They are new and cheap now, but again I believe we are going to see more reprints of the fetchlands over the years. Seeing as this is the second time this artwork has been printed and possibly not the last I do not suspect these prices to creep up very high over the years. These do not come in Russian or Korean and because of how recently released this set is, the Japanese foil prices aren’t stable enough yet to discuss. 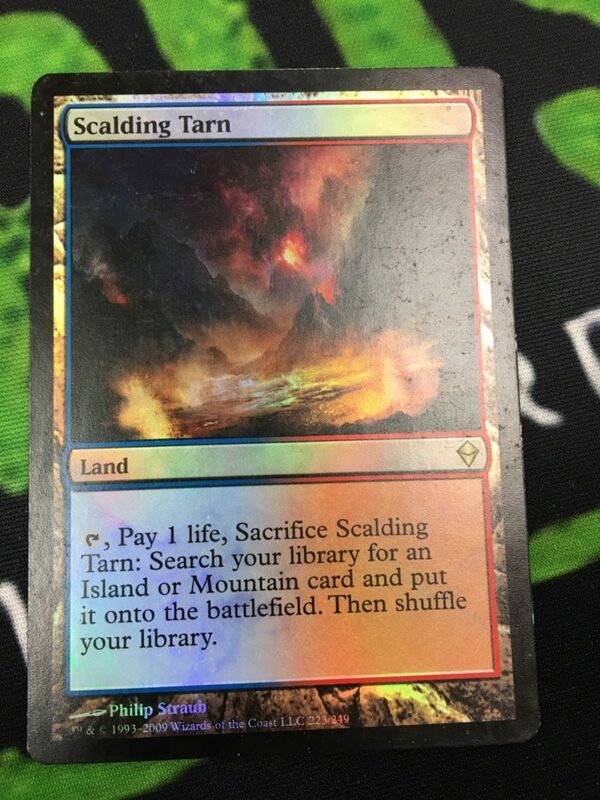 This is the original printing for the enemy colored fetchlands. While the artwork looks very digital and, to me, inferior to the Onslaught artwork, they have grown on me. These do not have the ugly watermark the Modern Masters version has, but they are significantly more expensive. 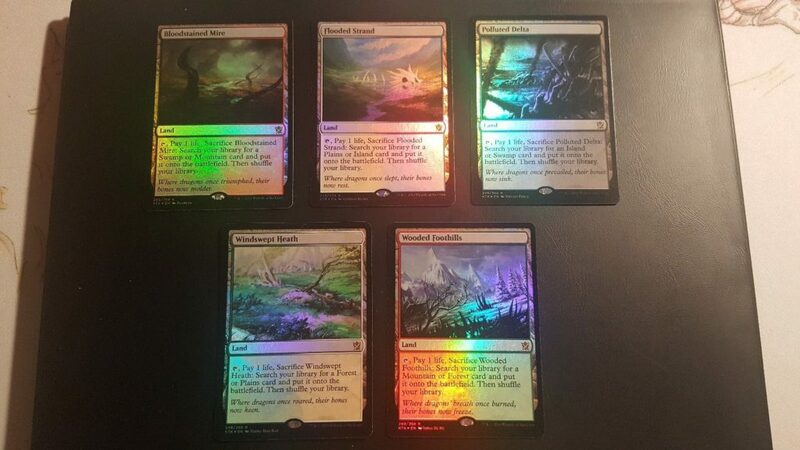 The Zendikar fetchlands are also noticeably less shiny than the KTK, Expedition, and Judge versions. They do not come in Korean but they do come in Japanese and Russian, with the latter commanding the most expensive price tag of all enemy fetchlands. 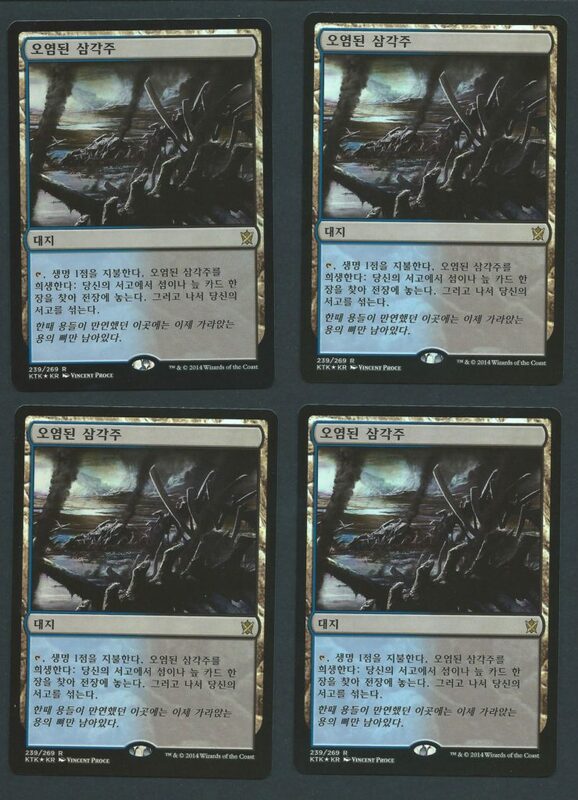 As far as pricing goes, the English versions are significantly more expensive than the Modern Masters printing despite sharing the same artwork. Historically, sharing the same artwork and even similar frame has led the original version to depreciate over time and I feel the same thing will happen in this instance. I believe it is time to show patience with the Zendikar foil printing and wait until a price drop to pick them up. Judge foil lands are gorgeous. They are hard to find and certainly show dedication as you do have to search them out. They are the only fetchlands that cannot be opened in a booster pack, and because of this, they only come in English. I do love the way they look and they are super shiny and noticeable. My biggest issue with the Judge Promo fetchlands is that there are only 5 of them and without a way to perfectly match them, they can feel out of place. The large Judge logo as well as the strikingly different art style differentiate them enough from the five Zendikar fetches in my eye despite all being printed in the same year. These prices on the Judge Foils have remained relatively stagnant over the last few years. A similar reprint could eventually come down the pipeline and I would not be shocked to see another Judge Fetchland promo (most likely starting with the enemy colored ones). Even as the Onslaught foils have continued to rise I feel like these will stay around this price for a while, as many prefer to have the old bordered foil to this new one. For those who enjoy original printings, this version is the way to go. Gorgeous artwork and amazing frame make the Onslaught foil rank quite high on the list. Notably, the Onslaught Foils are the only ones available in the old frame, and unfortunately for those who enjoy matching lands, there is no universal frame for this. Additionally, the artwork itself doesn’t shine at all so if that matters to you, you will want to pick differently. Personally, I enjoy adding these to my decks that contain many old bordered cards, such as my Vintage and Legacy decks. They are very sharp and what the artwork itself lacks in shine, the borders absolutely compensate for. I have to mention one of my personal favorite aspects of the Onslaught foils, what I have lovingly named “the ding”. The swoosh is one of the best and a unique aspect of these cards (and all old border foils). These are the lands I would choose if there were matching versions for all 10 fetchlands. There is little to say except these cards are drool inducing. Onslaught was not printed in Korean or Russian (God forbid) so there are no crazy Russian prices floating around here. Still, Japanese is quite hard to find and only getting harder so if you want to pick these up you will searching far and wide. Japanese Onslaught commands the highest premium of all allied color fetchlands by a mile. Prepare you wallets because once you have these, you will not want to sell them. The Onslaught foil prices have been creeping up lately and I believe this will continue. Since we will not be seeing anymore old frame cards, these will remain unique to collectors throughout time. I believe the price on these will continue to increase over time with Polluted Delta reaching around $400 and even Windswept Heath climbing towards $150. Ding! Ding! We have a winner. The Expedition printings are too stunning to ignore. 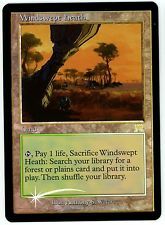 The beautiful framing and full art of the Expedition series take the cake and are my pick for the best fetchland upgrade. The Expeditions display well on the board and my favorite way to stand out at the table is with shiny bling. Subtlety just doesn’t do it for me and these pop out from a distance. 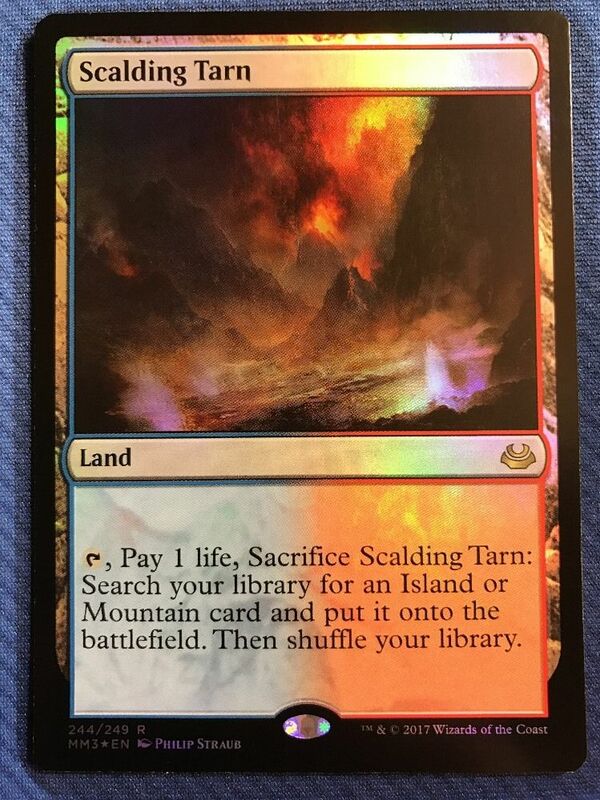 Expeditions also have the wonderful bonus of being the only perfectly uniform set of fetchlands. The artwork, while digital, all match in theme look great side by side. The borders and art really pop out which sets them apart from the rest in that category. Expeditions aren’t without their downsides, though. They are only available in English so collectors who want to use foreign cards have no option here. Because the border is unique, they will not exactly match any other cards in your deck. For this reason, I go with Zendikar or Onslaught set foils for my older decks where the borders fit together better. I feel like Expeditions are amazing for cubes and Commander decks and really stand out from the rest, which is often the point of upgrading your cards. At this time, you can find Expeditions notably cheaper than at the time of their release. The trend with most of these has been downward. For instance, Misty Rainforest is currently selling for about $145. This is notably cheaper than the previous ~$225 at BFZ release, ~$200 in the months following, and ~$175 from about 3 months ago. Despite their beauty, you can probably find even sweeter deals on Expeditions in the coming months (I would aim at about $110-$120 for the Misty for example). I believe the downward trend is mostly because of the many products Wizards continues to churn out. Players want to afford Eternal Masters, Modern Masters, Commander product, Duel decks, From the Vault, current Standard sets, and the list goes on. To do so, they need to sell the most liquid and valuable cards they own. For many new players, they may have cracked a few Expeditions recently from Battle for Zendikar and Oath of the Gatewatch, and as a result the market is flooded with them. 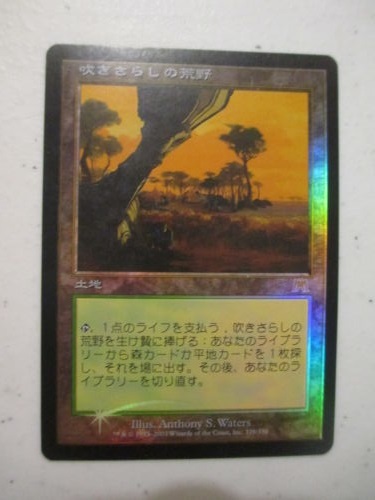 Many people see falling prices of the fetchlands, which can also be attached to falling prices of the non-foil versions from KTK and MM3, and panic sell their Expeditions. 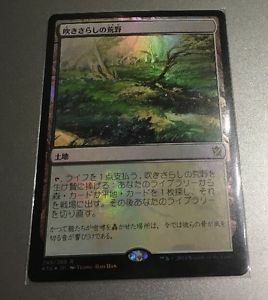 While I don’t believe we will see such gorgeous artwork and borders on fetchlands for a long time, there is always the possibility for it, and that possibility keeps cards like this from skyrocketing. Again, a reminder, this is my favorite version and you will have to make the best decision for yourself. Nobody knows you better than you. In conclusion, upgrading your deck should be a mixture of two things: your budget and your tastes. Making your choice based on those criteria is the essence of improving the cards in your deck. Always remember that you don’t need foils or lavish cards to play your decks but Magic was made to be an expression of yourself and for some, like myself, it can even be addicting. I look forward to bringing you more content, now go out there and enjoy the journey! Good to see new content on here! Fun article. Thank you so much! Glad you enjoyed it ! Welcome Rachel! I’ve seen your posts on Twitter before, but it’s good to finally get a substantial piece from you here in this platform. New author, new material–I like it. 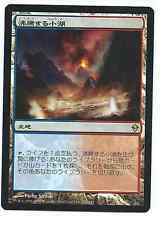 i feel that this is a sign that they will reprint it in standard or some other set that covers more languages. Well written. Glad to have new authors. Disagree with the excision fetches, but thats just personal taste. Agree old foils with the swoosh and most judge foils are amazing. Judge Hanna, ship’s navigator commander ftw! 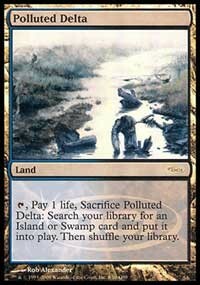 What is the watermark on the MM3 cards? I have seen them in person yet.